Our army moon cut ball chain is sure to create a buzz! 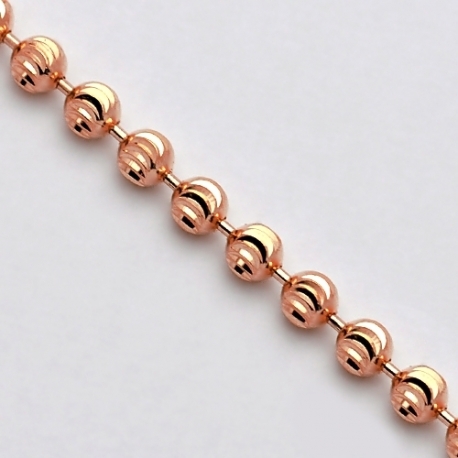 Artfully produced from amazing 14k rose gold in Italy, it features highly polished shimmering finish with magnificent moon cut patterns! 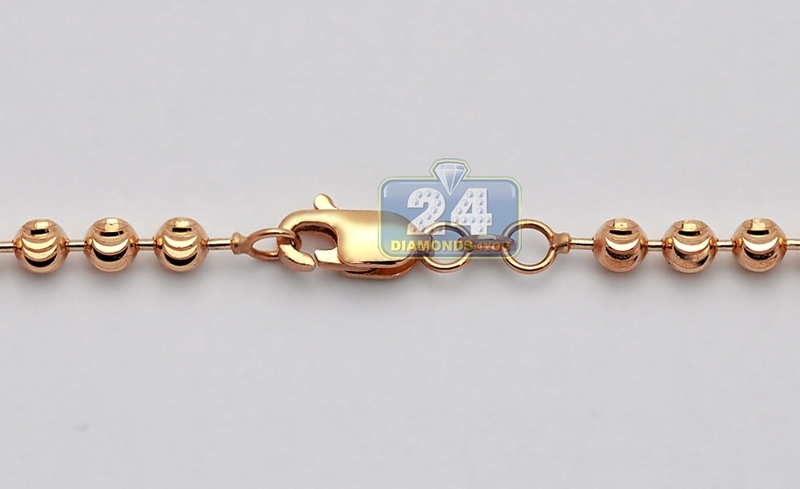 The piece is available in length of 24, 26, 28 or 30 inches, and measures 4 mm in thickness. For security, it's closed with a user-friendly lobster claw clasp. 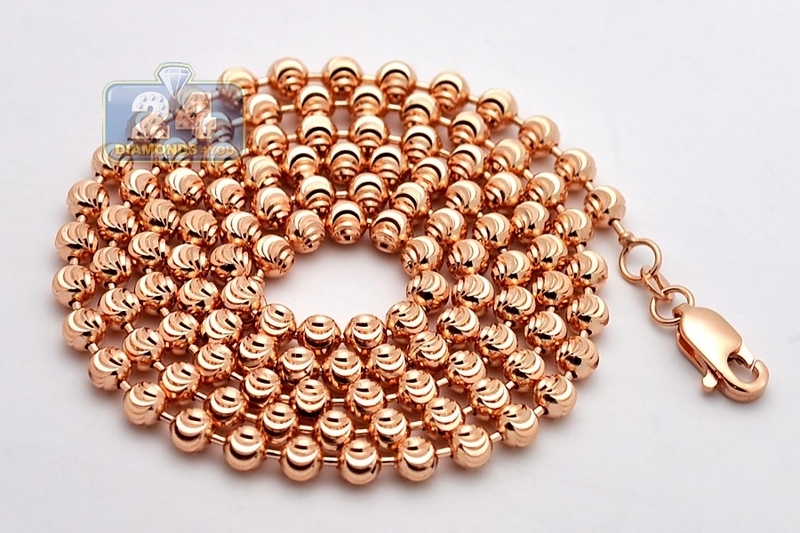 This men's bead necklace will make a brilliant statement!